The average price for this game in the past 6 months is $18.12. The game first became 50% off on Nov 20, 2017 at GamersGate. Lowest historic price was $17 on Nov 21, 2018 at Green Man Gaming. Great price on Tekken 7 for Steam at GamersGate. Use the 10% coupon code and you'll knock Tekken 7 further down to $18. New historic low price. New historic low price on Tekken 7 thanks to GamesPlanet's giant Summer Sale. The same 63% off discount is also available on the Deluxe Edition. If you prefer more characters, the extra $9 on the Deluxe is probably a good buy. Steam key. Missed Winter Sale pricing on Tekken 7? Bandai Namco sale at Fanatical is still available and you'll be able to pick up Tekken 7's Steam key for only $22. That's 55% off and only 45 cents off from its historic low price. Lowest ever price on Tekken 7 for the PC has arrived during Fanatical's Winter Sale. Same situation applies for the pricier Deluxe Edition which comes with two additional playable characters and myriad of costumes. Steam key. Last chance to grab! Tekken 7 just keeps getting cheaper and cheaper. Now only $22.49 at Fanatical as Bandai Namco titles have moved on over from GamersGate. Deal expires soon as the stacking Black Friday weekend coupon won't last. Visit this page and scroll down for "Extra 15% off Bandai Namco & Focus Deals"
The average price for this game in the past 6 months is $13.14. Lowest historic price was $12.74 on Nov 21, 2018 at Green Man Gaming. The average price for this game in the past 6 months is $47.24. The game first became 50% off on Jul 4, 2018 at GamersGate. Lowest historic price was $27.39 on Aug 11, 2018 at GamesPlanet. Fanatical has a 24-hours only Star Deal on Tekken 7 Deluxe which includes the Season Pass. If you missed out on the previous historic low, this is just 2% from the previous low. Steam key. Standard on tap for $22. Planning to pick up Tekken 7's Season Pass eventually? You may as well grab the Deluxe Edition and save some spare change (24 cents to be exact). GamersGate has extended their 18% off deal for an additional week until next Friday. Steam key. The average price for this game since released is $27.64. The game first became 50% off on Nov 21, 2017 at GameFly. Lowest historic price was $17.49 on Oct 10, 2018 at PlayStation Store. Tekken 7 was a June 2017 AAA release and already down to $36 + $3 shipping at NewEgg after coupon. Even after the shipping charge it's a historic low price. Xbox One and PS4 only. GamersClub Unlocked members can pick up the cheapest Tekken 7 to date with a $20 drop to $40, free ship. Historic low by $8, but you'll need to be a paid GCU member ($30 for 2 years) otherwise get $10 off with a drop to $50 - still the best price online. Deal requires Xbox Live Gold, otherwise $42.50. The average price for this game since released is $43.91. The game first became 50% off on May 2, 2018 at GameStop. Lowest historic price was $34 on Jul 19, 2018 at Microsoft. Deal requires Xbox Live Gold, otherwise $30. The average price for this game since released is $29.93. The game first became 50% off on Nov 21, 2017 at GameFly. 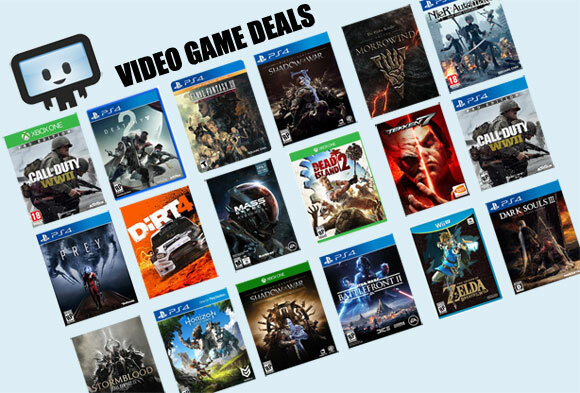 Lowest historic price was $19.95 on Nov 22, 2017 at GameFly.